A shocking glance into the daily challenges facing food service workers, documenting harassment and abuse from both the customers and bosses. Here To Serve will tell the story of Emily Duffy. With 4 years experience in the fast-food industry, she currently works as a server and a social worker. 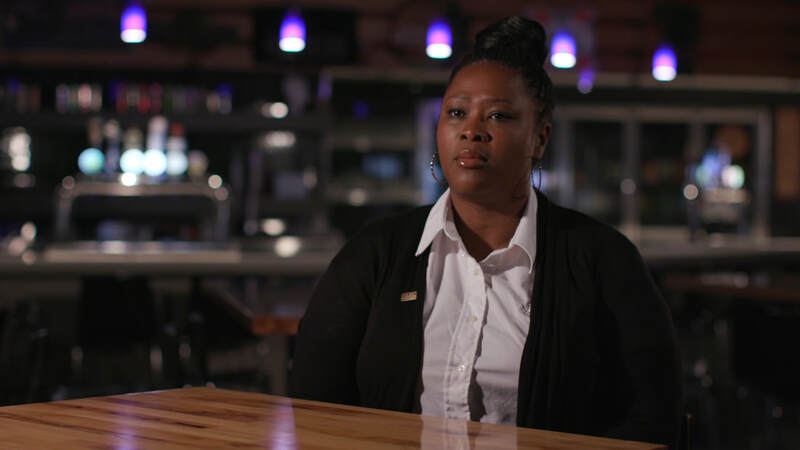 She has a unique perspective on the food service industry and many stories to tell about the stressful work environment, as well as the sexual harassment towards women, which comes from both customers and employers. This documentary will highlight the epidemic of sexual harassment towards female servers in the restaurant industry and, through expository and dramatic modes, will examine why the power structures at play allow the harassers to feel that they can get away with it. Here To Serve aims to convey a simple message; that everyone deserves respect and dignity! Sean's undying commitment to the subject has made this documentary a reality. His faithfulness to the source material and unique perspective behind the and in front of the camera has showcased his passion for trying to make a difference with his documentary. He hopes of trying to speak to the audience on a personal level and evoke change, because this is a relevant issue in society today. ​ Amavel is a passionate writer who is fuelled by telling the stories that need to be told. His unique perspective having been in customer service himself for several years has leant a keen eye in shaping the story and keeping it as faithful as originally imagined. Leslie has been a great addition to the team. Her on hands experience in the Grip/Electric department has made the process even more efficient. She is drawn to the subject through her passion for trying to make a difference and by voicing her opinion to the community alike. Richard Ferguson is an aspiring Producer / Director who hopes of making a difference in the community. After hearing Emily's testimony, Richard wanted to do his part and speak up alongside the community about this issue. Michael's eye for storytelling has been evoked over the years through dramatic and documentary based projects. His flare for trying something out of the box has poised him to tell Emily's story in as unique way as possible. ​ Austin's unparalleled commitment to the craft in the industry has been more than remarkable. His work ethic is mimicked in his passion for the subject matter and has allowed him to help shape Emily's story to being the story that the audience deserves. Rose-Marie is thorough producer who manages to keep everyone and everything in line no matter what the obstacle. Her efficient use of time and resources has kept the documentary firing on all cylinders from start to finish. She hopes the audience will be inspired to change when they see the upcoming "Here To Serve". ​ Declan's passion for visceral storytelling has pushed him to see all of his projects through in through. Declan has a unique camera and sound experience skill set that has allowed him to multi-task on set and off - in hopes of gaining awareness on relevant issues in society. 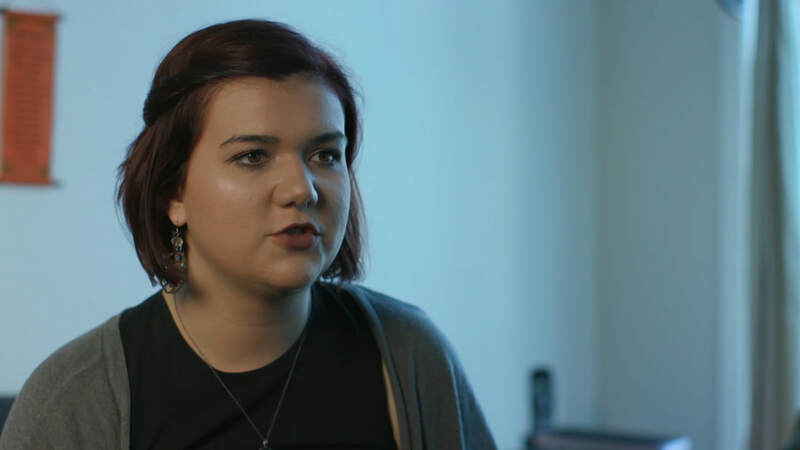 ​ Fiona's unrivalled attention to detail and passion for the subject of trying to shine a light on the Customer Service industry has allowed an equally energetic cut of the film to help highlight the problems with the industry. Fiona's technical skill and concise ability has generated a workflow that has helped form the film to be as true to Emily's story as possible.